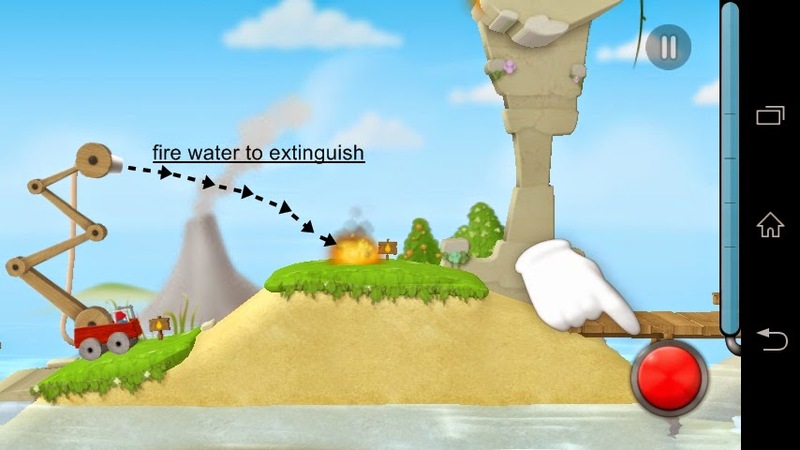 Sprinkle Islands is a fire fighting android game developed by Mediocre. 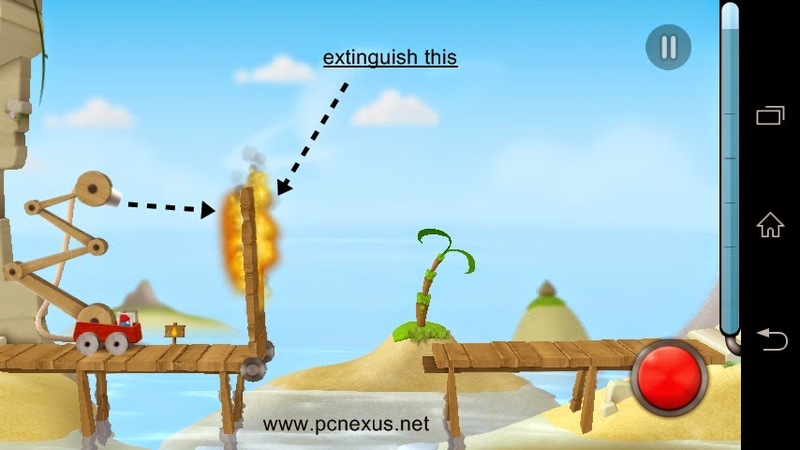 The game’s concept is simple as you have to fight the fire, solve the puzzle and move forward to complete the level. It has five different islands including the tropical, forest, cave etc. Each island has 12 challenging levels. There are a total of 60 levels with hours of playing. The graphics of this game are very interesting. I specially like the water physics which flows in a real manner and the 3D crystal clear blue ice cubes. Other objects include round stones, rocks, wooden planks and lifts. All these objects create a puzzle that you have to solve so that you should use minimum water to fight the fires and score more points. You have limited water that can be seen on right side of the screen with a vertical blue bar. 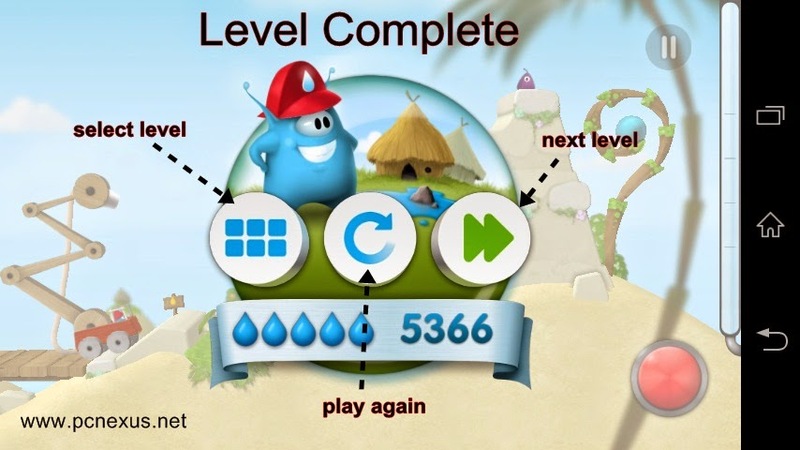 When water empties you have to restart the level. 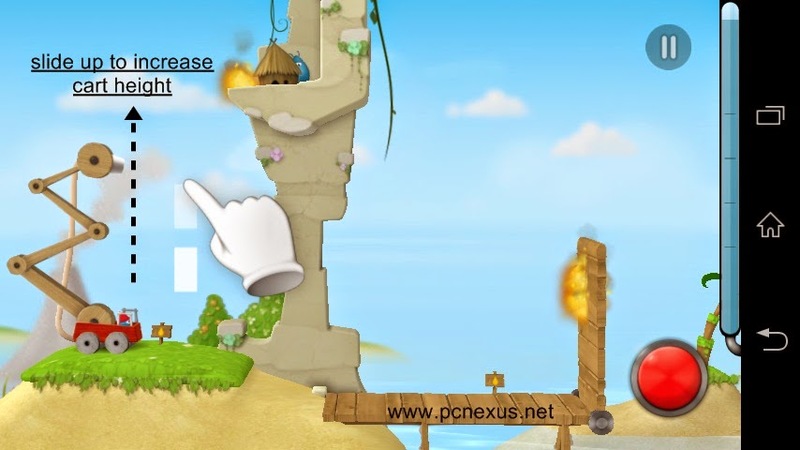 Sprinkle Islands is available in two versions, one is free and other is paid. 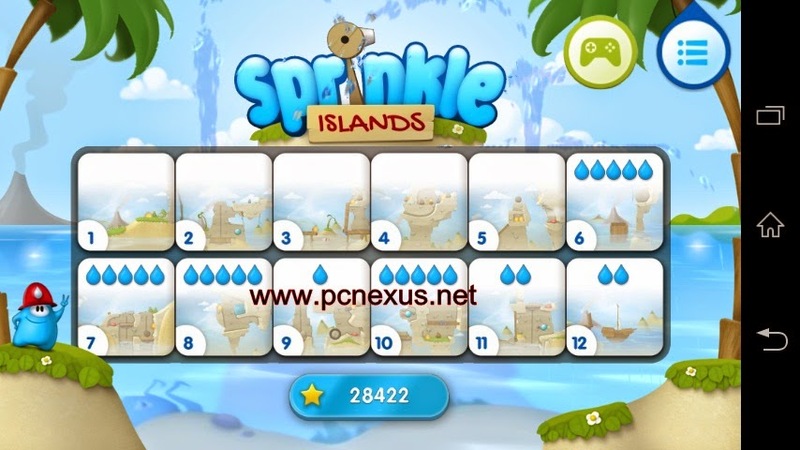 The Sprinkle Islands free has only 14 levels and no aquatic boss, while the Sprinkle Islands full has 60 levels. In paid version at the end of each island you have to defeat the aquatic boss. I am teaching you how to play the first level. You should play rest of the levels on your own. 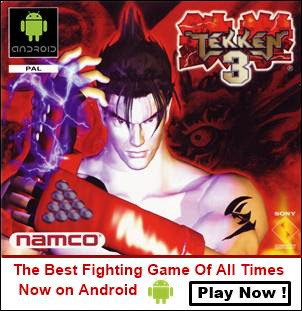 Download and install the game first. Then open it. Select the first level. The wooden water cart throws water when red button is pressed on your android phone and it moves forward when there is no fire in the way. Slide up on the water cart to increase the cart’s reach to the fire above the rocks. Slide down to decrease the reach and move from below the rocks. The cart will get stuck in rocks if you do not decrease its height while moving. Now aim at the fire and press the red button to throw water on it. The cart will move forward. Now slide up and aim at the fire at the rock then slide down and move forward. Then reach the wooden plank. 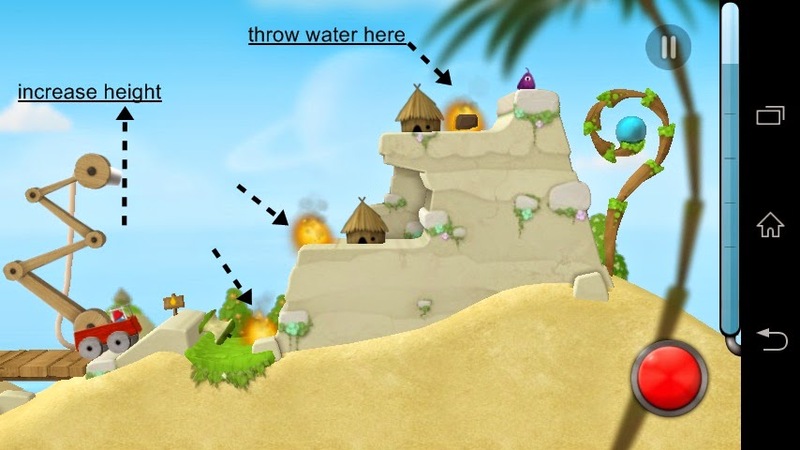 Finally throw water on the 3 fires on the rock to complete the level. Play rest of all the Sprinkle Islands levels yourself.